At Expat Explore we go out of our way to ensure that tour participants enjoy the very best value for their hard-earned money. 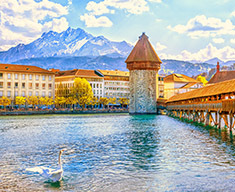 As an agent you can rest assured that your clients will travel in style, sleep comfortably and benefit from amenities like free Wi-fi in all of our European hotels, so they can stay connected as they explore Europe. There are no hidden costs! Unlike many other travel operators, we don't charge fees for credit card payments and you are able to secure your clients' seats on our tours with a mere 10% deposit at the time of booking. Expat Explore is a member of ETOA and provides complete financial protection so you can be confident in booking your clients' European coach tours with Expat Explore. Complete the application form below and we will get help you on becoming a verified Expat Explore agent.